WLS Foundation is able to meet its mission through the support of generous donors who understand the importance of supporting our heroes once they return home. All donations are tax deductible. Thank you in advance for your support. 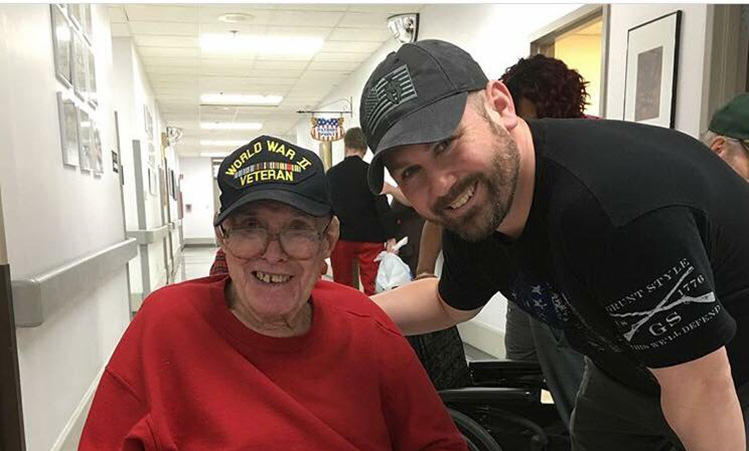 This option supports our Never Forgotten program that serves veterans of all ages through nursing home visits, meal delivery services and a variety of events to show veterans they are valued, loved and never forgotten. This option supports our Navigation Support Services. WLS helps provides one-on-one assistance to navigate through the system, finding the partners to best serve the distinct needs of each veteran which provides a greater holistic and person-centered approach to care. This option supports our Nature Therapy Program that concentrates on veterans and their families. Through one-on-one outings, veteran-only workshops and multi-family retreats, WLS Foundation provides “no cost” outdoor recreation opportunities to engage the healing power of the Great Outdoors.